Appearance: Delicate shades ranging from white to grey with subtle green and brown veining. Colour variations occur to some extent, even in the same batch. 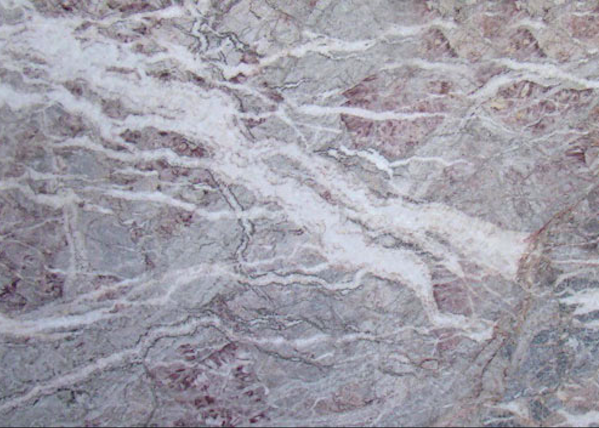 A small sample of Fior Di Pesco marble is not representative owing to a wide variation in colour and veining. Properties: Fior di Pesco is a durable, hard-wearing and frost resistant marble. However, the stone material and the stone finish should be selected to suit the area it is being applied to. Use: Due to its good wear resistance, this marble is suitable for floors and cladding in interiors and exteriors, as well as bespoke stonework, including stairs, tables, sinks, kitchen tops, shower bases. Finishes: Polished, honed, brushed, sandblasted, bush-hammered and flamed.